On Tuesday, my beautiful blogging buddies, Jackie and Hannah and I, took a trip to Southport for a much-needed chill-up, a combination of a much-needed chill out and a catch up! Chill-up! Hannah had done some Googling and come across the Paint Pots Ceramic Studio. Located just off the high street, Paint Pots Ceramic Studio is such a brilliant place if your looking for a more creative way to de-stress. You might think sitting down and painting a ceramic pig money box was something you did when you were 5, I should I know, I did do it when I was 5 and my Mum still has my oh-so-awesome creations. That being said, it’s fantastic whatever your ages and artistic capabilities, or in my case, lack thereof! After a quick hello and an introduction to the studio we set out the pick our blank canvas. They have so much choice, we must have spent 20 minutes just trying to decide! From traditional money boxes and tiles, to teapots, bowls, plant pots, Disney princess figurines, Superheros and Superhero pigs, you’re spoilt for choice! We all opted for tiles after being so impressed by the display of pre-made ones, and on the promise we could pick from a catalog of designs to give us a helping hand. We suited up in our aprons, grabbed our paintbrushes and got to work on our masterpieces! I was torn between the above two designs but in the end went for this funky gecko design, wanting to keep it simple, aka something it would be impossible to mess up! 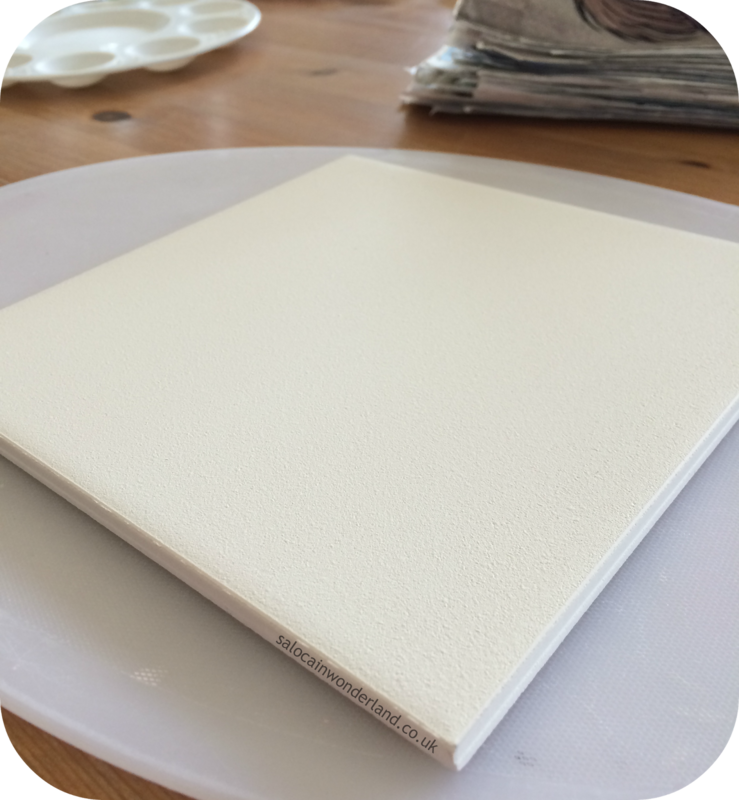 The blogger in me really wanted to paint my blog logo on the tile, but there was no way I could have pulled that off free hand! I started by sponging on my background, pink, obviously. Once that dried and the brews had been brought over - did I mention unlimited tea, coffee, water and juice? I traced my gecko design onto the tile. There was around 25 colours to choose from, so I tried to pick out the brightest and went ahead and did my three layers of paint. They said three layers was key for strong, bold colours to come through after the glazing/cooking in the kiln. We ended up spending almost three hours in the Paint Pots Studio! Three hours! By the end of it we were all thoroughly relaxed and feeling all kinds of creative! 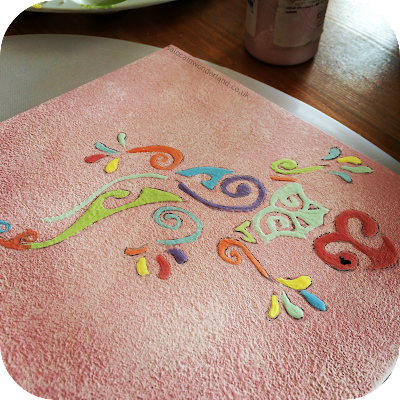 I mentioned I don’t know how long ago that I’d bought myself Johanna Basfords Enchanted Forest (£6.97) and have found colouring the pages in to be extremely relaxing - well, painting the ceramic tile was just as relaxing, only I got to do it with friends. 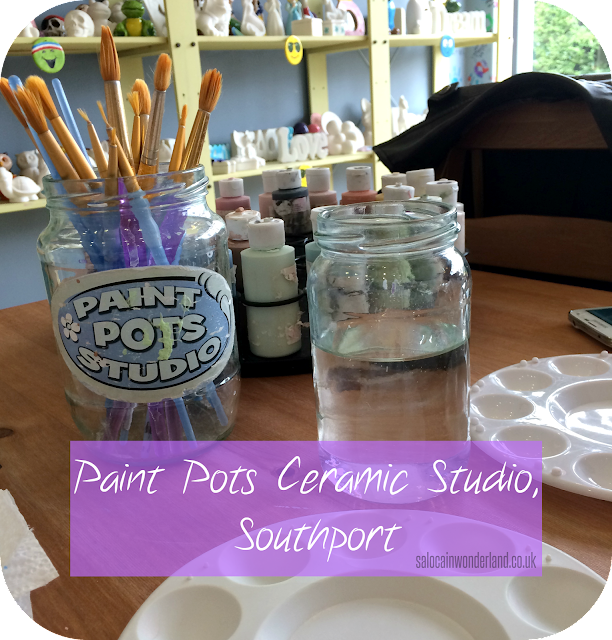 Paint Pots Ceramic Studio is ideal for catching up with friends, entertaining the kids (large groups welcome!) and they even have more grown up evening sessions that involve food and wine - I can only imagine some of the creations I’d come up with after a glass or two of wine! It costs £4 per person (studio fee) which includes all equipment and drinks, then you pay anywhere from £5 - £25+ for the piece of pottery you wish to paint - all abilities welcome! When was the last time you tried your hand at some pottery painting? Let me know in the comments below! It sounds like fun. I would love to try to draw and paint the gecko, he is so cute. I wanted something that seemed easy enough to do that wasn't a stick man lol! Now I know how it works I'd be tempted to try something a pinch more complicated next time! Aw thank you! Southport is a lovely place, lots of cute shops and places like this. It's a great little day out! Oh be sure you do I'm sure you will love it! Such a nice, relaxing way to spend the afternoon! Looks like you had fun. Have a lovely day. I did! I wasn't sure what to expect but it turned into a lovely experience and so much fun! Indeed! 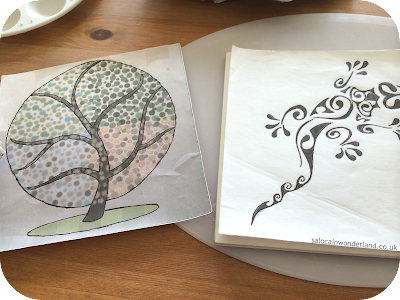 I was nice to be able to just sit and catch up but being able to do something creative at the same time! The place had a great, relaxed atmosphere too! Chill-ups are now my new favourite things! And Geckos!